I’m continuing to read Dr. Manfred E. Kober’s article “Divine Election or Human Effort?”. I’ve just finished “Chapter 3: The Doctrine of Election.” I’m no more convinced of Calvinism now than I was when I read the previous two chapters (see Taking the Fork in the Road: Discussion Arminianism and Calvinism, Part 1 and Part 2 for context before proceeding here). The simplest way for me to write this is in a linear fashion, which is how I took my notes as I was reading through the chapter. It’s the longest chapter in Kober’s paper, and it inspires a rather lengthy response from me in my blog. For the sake of my servant Jacob, and Israel my chosen, I call you by your name, I surname you, though you do not know me. Notice the wording in this verse. God chose Israel and has named Israel before Israel ever knew God. That leaves the selection of Israel totally up to God. Israel has nothing to do with it. That’s a key point in Calvinism and one in this blog post as you’ll see in a bit. Foreknowledge: An active word to indicate a loving relationship, based on the deliberate judgment of God in the eternal plan, which God sustains with certain individuals which results in His choice of them for salvation. Foreknowledge is only used of persons, not events. Well, not exactly individual persons. The Hebrew verb “know” (yadah), has likewise a much deeper meaning than the English word. In Amos 3:2, God speaks to Israel, saying: “You only have I known of all the families of the earth; therefore I will punish you for all your iniquities.” The Lord certainly knew about all the families of the earth, but He knew Israel in a special way. His knowledge is one of a special loving relationship. This is disclosed explicitly to Israel through the prophet Jeremiah. 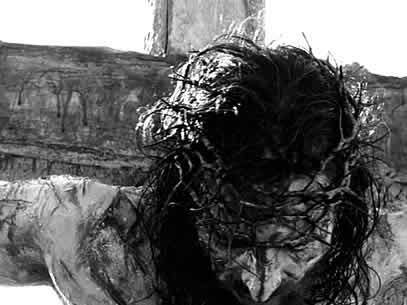 Yahweh speaks: “Yea, I have loved thee with an everlasting love: therefore with loving-kindness have I drawn thee” (Jer. 31:3). All of Israel will be saved because all of Israel was chosen by God from before the establishment of the foundations of the earth. That seems pretty much a given relative to “foreknowledge” in Calvinism. According to Kober, “foreknowledge” isn’t just God knowing ahead of time, it’s causative. God Knows Israel and out of that knowledge comes their salvation. According to Kober’s quote of Kenneth S. Wuest, The Practical Use of the Greek New Testament, (Chicago: Moody Press, 1946) pp. 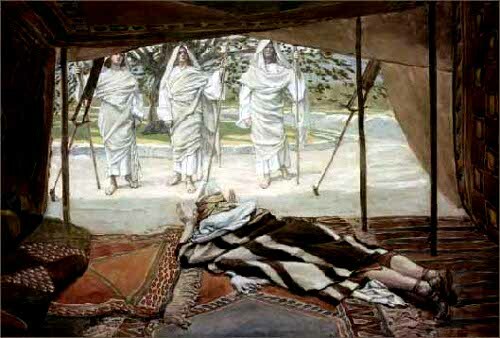 22-24, Acts 2:23 refers to God’s knowledge of the specific purpose for which Jesus would be handed over to be executed. Basically, Jesus was “chosen” before Creation for the purpose of saving at least some of the human race through this execution and resurrection. He also states that Romans 8:29 refers to God’s foreknowing who would be conformed to the image of His Son. God’s foreknowledge isn’t seeing events happening in the future, but His “will” in loving relationship with certain individuals and (apparently) all of Israel for salvation. Even the Apostle Paul expected opposition to such a doctrine from men who were deceived by the impulses of their depraved minds. No kidding. If I heard Paul say that all Israel was to be saved but only some of the Gentiles from the nations, I might have a few objections as well. I can imagine how many of Paul’s Gentile disciples, if they interpreted his words the way a Calvinist does, would object quite a bit to all Jews being saved, but only some of the Gentiles who were part of Paul’s listening and letter-reading audience. It’s good news for Israel, but only so-so news for the nations. I’m feeling pretty “Esau” right now. Thus knowledge [in the Old Testament] has an element of acknowledgment…Finally, the element of will [yadah] emerges with particular emphasis when it is used of God, whose knowing established the significance of what is known. In this connection, [yadah] can only mean “to elect,” i.e., to make an object of concern and acknowledgement. Gen:18:19; Ex. 33:12; Amos 3:2; Hosea 13:5; Jer. 1:5. In like manner, to say that God elected men because He foresaw they would have faith, which is salvation in the germ, would be too absurd for us to listen to for a moment. Faith is a gift of God. Every virtue comes from Him. Therefore it cannot have caused Him to elect men, because it is His gift. It occurred to me as I got to this point in the chapter that Calvinists must feel pretty secure because, to hold such a belief, you would certainly have to believe you’re among the elect of God. No one who had doubts about their election could possibly be a Calvinist because you’d never feel comfortable in your own skin. You’d have to worry about whether or not you’re saved. If God elected you, that’s great. If not, well…too bad. Also, if you had even the slightest compassion for the rest of humanity, what would it be like to be a Calvinist? Sure, you could comfort yourself saying it’s God’s decision and not yours, but if you have even a minimal moral conscience, you’d still have to stop and wonder about so many people condemned to eternal suffering just because they (we) were born. The point at issue between Calvin and his opponents is thus simple, but it is of course fundamental. Substantially what they do is to wrest the ground of salvation out of God’s own hand where alone, Calvin holds, it rightly belongs, and to deposit it within the contingent realm of human volition and freewill. Actually, based on my thoughts in the previous two parts of this commentary, both Calvinists and Arminians attempt to wrest the secret of God’s salvation from Him, bringing it down into the realm of men so each theoretical camp can put their stamp of ownership on it. But if Calvinism is right, then I probably only think I’m saved and I have no real assurance that I am short of dying and finding out what happens next. Yeah, God has the right to put me (and the rest of humanity) in such a precarious position, but is He really that capricious? And what’s the point of Abraham debating God about the fate of Sodom if its fate was already sealed? So the men turned from there, and went toward Sodom, while Abraham remained standing before the Lord. Then Abraham came near and said, “Will you indeed sweep away the righteous with the wicked? Suppose there are fifty righteous within the city; will you then sweep away the place and not forgive it for the fifty righteous who are in it? Far be it from you to do such a thing, to slay the righteous with the wicked, so that the righteous fare as the wicked! Far be that from you! Shall not the Judge of all the earth do what is just?” And the Lord said, “If I find at Sodom fifty righteous in the city, I will forgive the whole place for their sake.” Abraham answered, “Let me take it upon myself to speak to the Lord, I who am but dust and ashes. Suppose five of the fifty righteous are lacking? Will you destroy the whole city for lack of five?” And he said, “I will not destroy it if I find forty-five there.” Again he spoke to him, “Suppose forty are found there.” He answered, “For the sake of forty I will not do it.” Then he said, “Oh do not let the Lord be angry if I speak. Suppose thirty are found there.” He answered, “I will not do it, if I find thirty there.” He said, “Let me take it upon myself to speak to the Lord. Suppose twenty are found there.” He answered, “For the sake of twenty I will not destroy it.” Then he said, “Oh do not let the Lord be angry if I speak just once more. Suppose ten are found there.” He answered, “For the sake of ten I will not destroy it.” And the Lord went his way, when he had finished speaking to Abraham; and Abraham returned to his place. And what was the point of this conversation? In either case, the transactions were pointless if Calvinism is right. The fate of Sodom and of the rich young man were both sealed before any living creature drew its first breath on earth. Why didn’t Jesus just answer the fellow that either he had eternal life or he didn’t? Certainly Jesus knew if he was among the elect. God already made the decision. The rich young guy had nothing to do with it. However, since he was most likely Jewish, it doesn’t seem to matter if we can take Calvinism’s word for the election of Israel. By definition, all Israel is elected. But individual Gentiles only have faith and thus are saved because it is God’s gift to those people that they have faith. They don’t really have faith in anything that resembles their own volition. God gave them the gift of faith so they have it. God didn’t give others faith and so they don’t have it thus they aren’t saved. Kober quotes Spurgeon at length on page 32 to try to explain election and choice in a way we can understand. But let me give you a better illustration. You see a mother with a babe in arms. You put a knife into her hand, and tell her to stab that babe in the heart. She replies, and very truthfully, “I can not.” Now, as far as her bodily power is concerned, she can, if she pleases; there is the knife, and there is the child. The child can not resist, and she has quite sufficient strength in her hand immediately to stab it into its heart. But she is quite correct when she says she can not do it. As a mere act of the mind, it is quite possible she might think of such a thing as killing the child, and yet she says she can not think of such a thing; and she does not say falsely, for her nature as a mother forbids her doing a thing from which her soul revolts. Simply because she is that child’s parent she feels she can not kill it. It is even so with a sinner. Coming to Christ is so obnoxious to human nature that, although, so far as physical and mental forces are concerned (and there have but a very narrow sphere in salvation) men could come if the would: it is strictly correct to say that they can not and will not unless the Father who hath sent Christ doth draw them. So what Spurgeon is saying is that if we believe we are saved then we are because no one would even consider accepting the “free gift” of salvation unless they were among the elect. Otherwise, it would seem a totally obnoxious idea to the person. If Spurgeon is correct, then the people described by the Master couldn’t exist. If they were “evil doers,” they’d never have accepted the gift of faith and salvation because as sinners, it would be too odious a thought to even consider. On page 33, Kober tries to distinguish free will vs. free agency to explain why even though people have zero control over whether or not they are elected, those who aren’t are still totally responsible for their lack of salvation. It’s their sins that condemn them, not lack of being elected. So let me get this straight. If we’re saved, it’s totally up to God. We have nothing to do with. But if we’re not saved, it’s totally our fault and God has nothing to do with it. -Jones, E. Stanley, (1925). The Christ of the Indian Road. Abingdon Press, 72-73. From a Calvinist’s point of view, we are only saved by the will of God. God doesn’t use any particular characteristic of the humans he elects as a method of making His selections. He chooses who He chooses for His own purposes and glory. If that’s all true, what about this? If God doesn’t want any to perish but all to be saved and if it’s entirely up to God who gets saved and who doesn’t, then why doesn’t God save everybody? However, near the end of the chapter, Kober does tip his hand about the timing of the Messiah’s return. Haven’t you ever wondered why he hasn’t come yet? According to Kober’s paper on Calvinism, there are a specific number of names written in the Lamb’s Book of Life. When all of the people who have their names in that book are born and “saved,” then Jesus will return. The simple fact is that there are names in that book who haven’t been born yet. 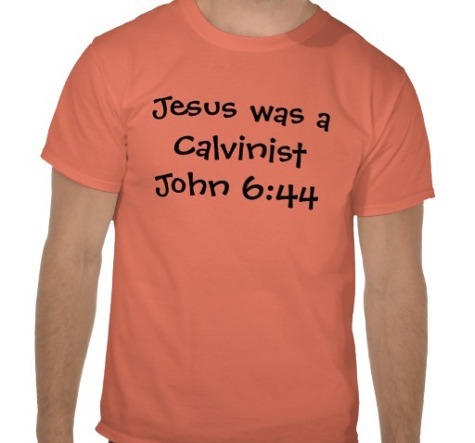 I’m glad Calvinists don’t run the universe and that John Calvin isn’t God. It may not be “Biblical,” but I have to believe that God can’t be put in a box and neither can the mystery of “election” and salvation. One thing I am glad about is that, if Calvin is right, then God really is taking care of His people Israel and since they are elected, they are saved. But if I am somehow forced to accept Calvin as “the truth” about God, then what hope do I have? Even if by some miracle, God did elect me (I can’t see why, I’m hardly a perfect person…I’m no saint or tzaddik), then what about my wife? What about my children? How am I supposed to feel if I’m saved but they’re not (but since they’re Jewish, who knows)? But it’s not just Calvin I object to but the whole Calvinism/Arminianism debate. Each side thinks that they can distill the Bible down into some formula of verses that equate an “answer” to salvation. Both groups and the people they contain, think they can reduce God into a system that they can then control. 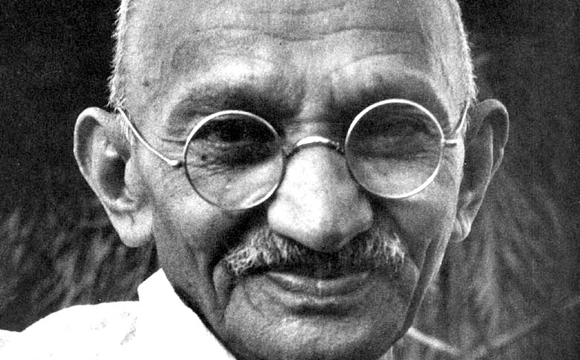 I am compelled to maintain a steadfast faith in God and not the Calvin/Arminius dynamic surrounding salvation, because if I had to see the Bible only through Calvin/Arminius-colored glasses, like Gandhi, I’d love Jesus and hate Christianity, and I’d drop the church like a hot rock. Paul’s use of a potters clay in Rom 9 certianly gives one pause, as do several other passages. But Jer 18, and lots of others, depicts choice. This seems to be a good example why the “either / or” in Christian thought is not the best way to handle scripture. As you said, it puts God into a box of one’s particular understanding. Agreed. I’m not saying the Calvinists don’t have a leg to stand on. There are certainly scriptures that support their point of view. But there are also far too many scriptures where God clearly is asking humanity to make a choice, so unless the Bible is a hopeless mess of contradiction, then an “either-or” position in this debate is unsustainable. So is some sort of “in-between” option. The only way to look at it (and much of the Bible in general IMHO) is to take a “meta” viewpoint, which I’ll describe in part 4 (the last part) of this series on Thursday. I’m glad that you choose to not believe in, and that you see past, the false dichotomy, James, because that’s really all that “debate” is. G-d’s mystery is so much greater than that so called dilemma. Seek word studies on Aion, Gehenna, salvation, etc, and you’ll quickly realize that there is so much more to the whole “who gets saved” topic than mainstream Christianity would like to have you believe. Change the definition of salvation from “eternal heaven” to “age lasting life in the Messianic age” and the definition of damnation from “eternal hell” to “not being found worthy of life in the Messianic age” for starters. Anyways, just my two-cents. 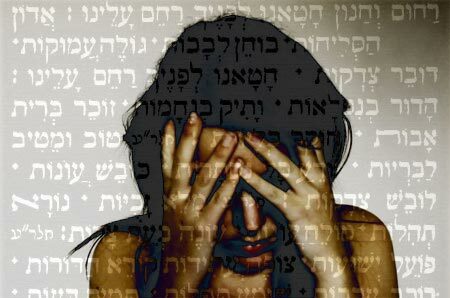 As I have stated before on your blog, I am a firm believer that G-d will reconcile ALL men to himself, in His good time. Thanks for coming over and chiming in, Nate. Your comments are always appreciated. Be well. And you as well, friend.